Discover this downtown San Antonio, Texas hotel located near the San Antonio Riverwalk, the Alamo and Six Flags Fiesta Texas. Whether traveling to Texas on business or pleasure, the Best Western Plus Sunset Suites-Riverwalk is sure to please. This 100% non-smoking hotel features friendly customer service and comfortable accommodations at the right price. Guests will find an all-suites property offering amenities such as an exercise facility and guest laundry. 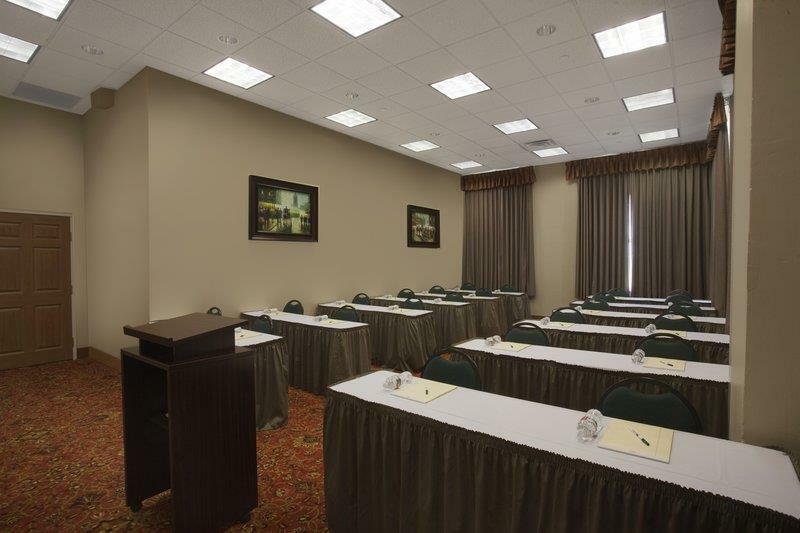 Business guests will appreciate the onsite business services and meeting/banquet facilities. This San Antonio hotel offers well-appointed suites, complete with cable satellite television with HBO and high-speed Internet access. The Best Western Plus Sunset Suites-Riverwalk is located in the heart of downtown San Antonio near local shopping and dining. Hotel guests will be less than one mile from popular San Antonio attractions including the Alamodome, the San Antonio Riverwalk, the Texas Institute of Culture and the Alamo. This Texas hotel is also close to the San Antonio Zoo, Six Flags Fiesta Texas, SeaWorld and the Botanical Gardens. Corporate travelers staying at the Best Western Plus Sunset Suites-Riverwalk will be less than five miles from SBC, the Convention Center, HEB, Boeing and Lockheed Martin. The Best Western Plus Sunset Suites-Riverwalk is proud to offer superior customer service and a convenient location in San Antonio. Make a reservation today and save! From: Interstate 10 West. Take 37 North, Exit on Commerce, the Best Western Plus Sunset Suites-Riverwalk will be located on your right. From: Interstate 10 East. Take 37 North, Exit on Commerce, the Best Western Plus Sunset Suites-Riverwalk will be located on your left. From: Interstate 35 South. Go to 37 South, Exit on Commerce, the Best Western Plus Sunset Suites-Riverwalk will be located on your left.